Having convenient and immediate access to preventive and therapeutic medicines at Care Animal Hospital ensures that your pets can start recommended medications right away. 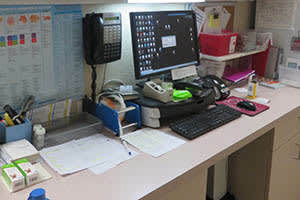 If you need to refill medication, our staff will authorize your refill and prepare it for you to pick up, often eliminating the need to call or pick-up from a pharmacy. We make it convenient to see your pet's doctor and pick up your pet's prescription medication on a single visit! And we are happy to work with your pharmacy - just let us know how we can help. You can see the FDA’s advice about purchasing medications for your pet on the agency’s consumer pages. Download the FDA’s advice sheet about online pet medication purchases.